2.4i. 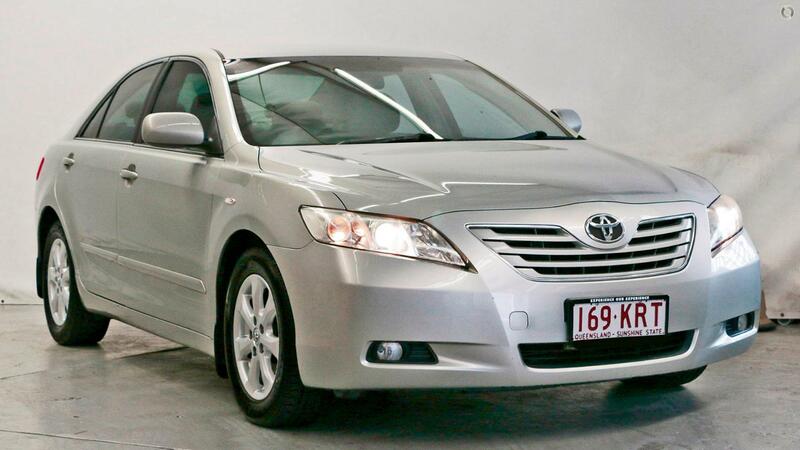 Looking for your first car' Then this car is perfect and good condition for you! This 2007 Toyota Camry takes its family responsibilities very seriously. Look no further than this stylish, dependable, cheap vehicle. You won't find a better option for that price. ENQUIRE NOW! It's easy to criticise the Camry, but it's also easy to like it, as many Australian families appear to do if you go by its continuing strong sales. The bottom line is that it's an easy car for a family to live with. Sure, it's not exciting, but it drives with ease, it's practical and it's reliable. What's not to like when it's got all of that going for it. Throw it into a bend and you receive very taught and rigid chassis composure throughout the corner. Camry uses a 2.4-litre, 4-cylinder motor that produces 117kW at 5700RPM and 218Nm of torque The interior is extremely spacious, functional and most important of all, easy on the eyes. The boot is absolutely huge and easily caters for objects of all sizes. You only need to glance at the outside of the car to fall in love with the easy-going looks. If you are within 100km's and can't make it into us we will come to you!